Here are some points to bear in mind when selecting a candidate mare for frozen AI. Ideal mares are maiden mares between 3-7 yo. and young wet mares between 4-16 yo, with good breeding histories. It is important to choose mares with correct anatomical conformation and histories of normal cyclicity. Mares with intra-uterine fluid (especially during dioestrus) should not be used, nor mares with a history of abortion, infections, or foaling trauma. 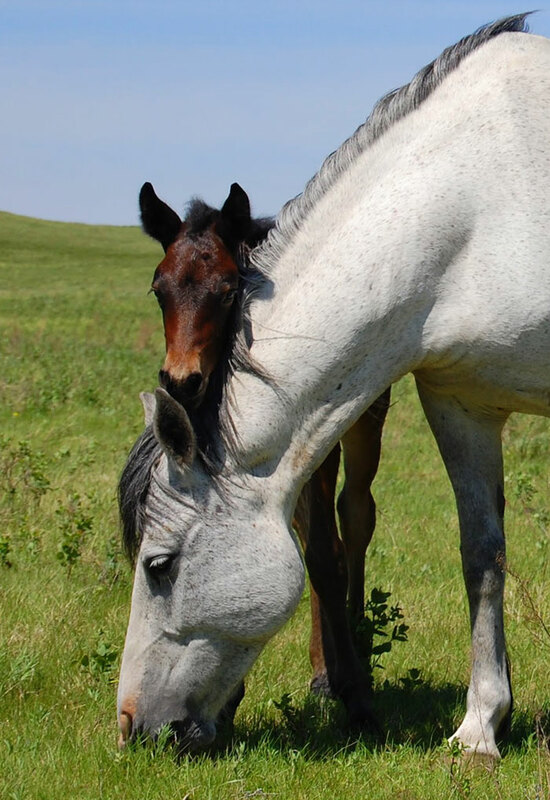 A mare should be checked by a reproductive vet before she enters a breeding programme to ensure that she is free of any obvious impediment to breeding. Mare management is also very important. Mares which are too poor or fat are difficult breeders. Normal stud management needs to be observed to ensure that a mare meets her peek (blooming) at the point of breeding and is cycling well. As mares cycle on daylight hours, heat and nutrition, don’t rush your breeding program. Wait till she has lost her winter coat, is cycling well, and for wet mares, use the cycle after foal heat. The two months either side of Christmas is ‘prime time’ and less prone to drastic weather changes. It is unwise to attempt to use a mare which has been pronounced unfit by your veterinarian or failed to conceive in the last 2 previous seasons.